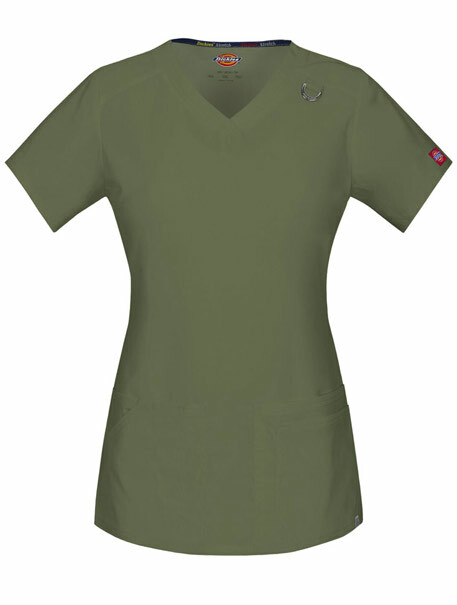 A V-neck top features Dickies logo twill tape at the back neck and as an instrument loop inside the wearer's left patch pocket. 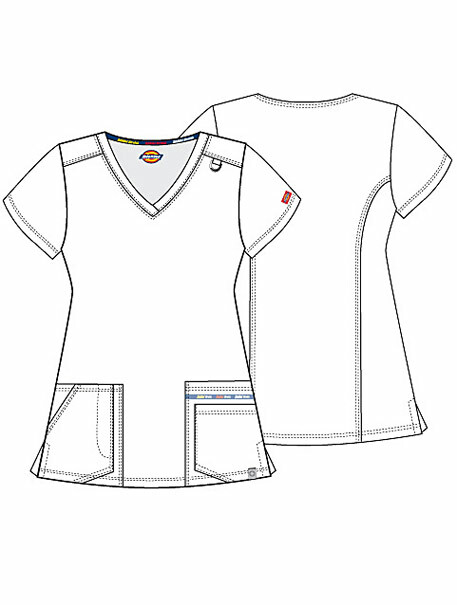 Also featured are front yokes with a Dickies logo D-ring on the left yoke seam, four front pockets with a pencil slot on top of the right pocket. Back princess seams and side vents complete the look. Center Back Length: 26"